At Noonan Electrical Services, the safety of you and your loved ones is a primary concern. All of our fully licensed and insured electricians are trained and ready to make sure that your residential and commercial investments are well maintained and protected, giving you the peace of mind to rest easy. Our safety services include small to large projects and we service residential, commercial, new construction, renovations, remodels, and more. Whether you are seeking maintenance, repairs, or new installations of safety electrical services and equipment, Noonan has the solution for you. Not sure how safe your electrical equipment is functioning? No worries! Give us a call today and schedule a safety services inspections from one our customer-focused electricians. 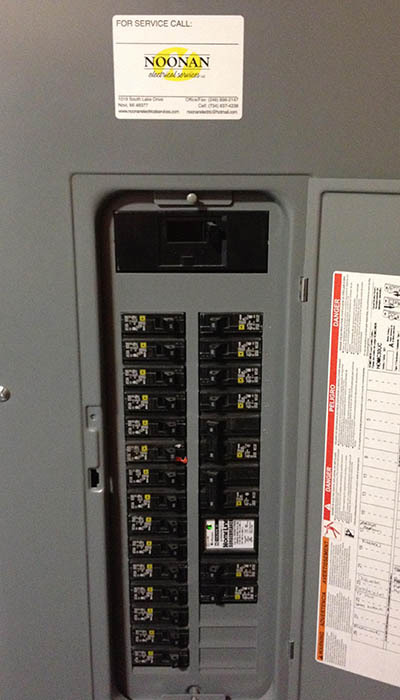 Noonan Electrical Services will provide you the solutions to your electrical safety needs.